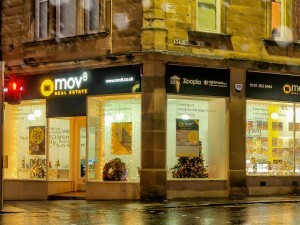 By now most of you will probably be aware of MOV8 Real Estate’s work with Corstorphine Primary School. Last year we were approached by Project Play, a parent-run group at the school asking whether we could help them with their fundraising efforts to build a playground for the children of the school. 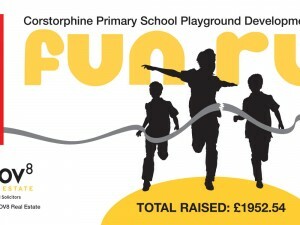 We agreed that we would sponsor the school £5,000; 50 per cent of the amount needed to build the playground, and pledged to help the children of the school raise the remaining £5,000. Fundraising is now well underway, thanks to a series of activities that have helped engage the pupils and create awareness of the school’s plans. Over Christmas pupils were invited to enter a poster competition with the winning entry being displayed in our Corstorphine branch. Older children participated in a sales and marketing workshop run by MOV8 staff and sold the cakes they made in the session at the school Nativity. Money was also raised before half term when pupils came to school dressed as a character from a book. Pupils have additionally enjoyed learning about what estate agents do and creating their own property schedules. To celebrate Easter, the school held an Easter Fair with all profits going to Project Play. The staff, parents and pupils had a wonderful day, showing off their handmade headwear at the Easter Bonnet Parade, finding Easter Eggs during an Easter egg hunt and were entertained by readings, Highland dance displays and the choir. Having been approached by local business Magnet Trade, MOV8 suggested Project Play as an entrant for the Magnet Trade Community Award. Project Play was entered along with other great causes throughout Scotland and, after the appeal was heavily-promoted and shared via social media channels, Project Play won the most votes, scooping the regional prize of £1,000, going a long way towards the overall fundraising total. We are delighted to report that the current total raised by fundraising activities for Project Play is £3,355.03, not including the original £5,000 gifted by MOV8 Real Estate. None of this would have been possible if it wasn’t for the staff, parents and pupils engaging in the activities we devised or for you, our clients and of course your continued support. MOV8 Real Estate is proud to set aside 10 per cent of profits each month to be donated to great causes such as Project Play; we’re delighted we can can make a positive difference to the lives of children in our local community.